To many launching a restaurant startup business remains a lucrative proposition. However, it takes an awful lot to successfully launch a restaurant; it takes a lot of time, money and efforts. Quite expectedly, it is important to stay calculated and prepared ahead of time, when planning to launch a restaurant business. And to stay abreast, you must get well acquainted to the varied aspects of starting a restaurant venture. After all, it’s your dream venture and you wouldn’t want to take risks. 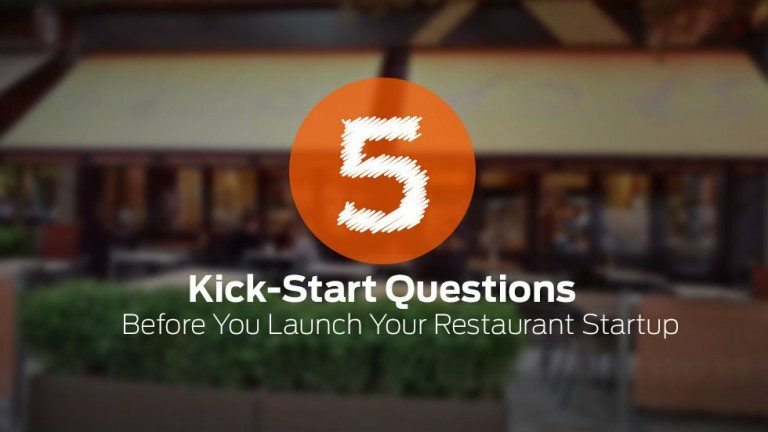 let’s discuss 5 kick-start questions before you launch your restaurant startup. One of the most important things to carefully mull over before launching a restaurant startup is its concept. It makes sense to carefully mull over a few vital questions such as what type of restaurant you want to open, are you just planning for a franchise business or are you looking to open your own restaurant. In addition, you would also need to understand where you are, where you want to be and what challenges you will face to get where you want to be. Remember, your concept can make or break your startup business venture. To attract sales and get your business successfully off-the-ground, you’ll need to advertise. And to effectively advertise and capture your target audiences’ fancy, you’ll need professional, creative and durable graphics that can take elements of your restaurant brand and showcase it to the world in a way that’s even more awesome. You’ll need a restaurant logo design, for one. Creative menu design for sure. A professional website that you can use to build awareness for your restaurant startup, that’s important too. Remember, advertising for a new restaurant is not the place to be tripping over pennies. It’s essential, so don’t skimp on it. Do You Know The Legal Mumbo Jumbo? When you’re launching your restaurant startup, do well to get acquainted with the legal mumbo-jumbo to ensure smooth operations. As an owner, you’re responsible for everything from employee safety to liquor liability. So, it makes sense to get acquainted with the legalities of Insurance, licenses and safety policies. And if you believe taking care of legalities is not your cup of tea; do hire a professional to help you out. Can you Manage Cash Flow? Entrepreneur.com reveals that it’s vital to set up a stable flow of cash when kick-starting a business venture. It is perhaps the best way manage a smooth inflow and outflow of your company cash. Do well to set aside cash for commercial equipment, furnishing for your restaurant and other vital necessities. It makes sense to utilize technology and resources around you to keep your operating costs low. Unarguably, a great menu is the main component of a great restaurant. It makes sense to invest in creative menu design that features pictures of foods taken by professional photographers and print the images on the menu at strategic places. Also, add written description of the food items as gluttons and epicureans are interested to know the ingredients of food. But before you go ahead and get your menu designed, do well to know about preferences of your target consumers. Remember, your restaurant startup will only flourish if you carefully consider these 5 vital aspects of the business before-hand. Looking for creative and customized menu design for your restaurant business? Launch a contest today. Choose from 100+ menu designs. Take your pick! We offer a full 100% money back guarantee! Finally, a risk-free way of getting a customized menu design.